Please include anything here that you feel may help expedite the order process. Whatever your laundry operation may need, we have you covered. Laundry Equipment Parts is your one-stop shop for the laundry industries best quality Original Equipment Manufacturer (O.E.M.) parts as well as any and all laundry accessory items. As the leader for replacement laundry equipment parts, our goal is to assist you and your company in avoiding costly downtime. Chuck is our parts manager, and he knows these parts inside and out. He is a friendly face here at LES and is always happy to help you, our customer. You can call, chat or email and know that you will have an Alliance certified expert on the other end of the line. But if Chuck is ever not available, one of us here will be sure to help you as well. 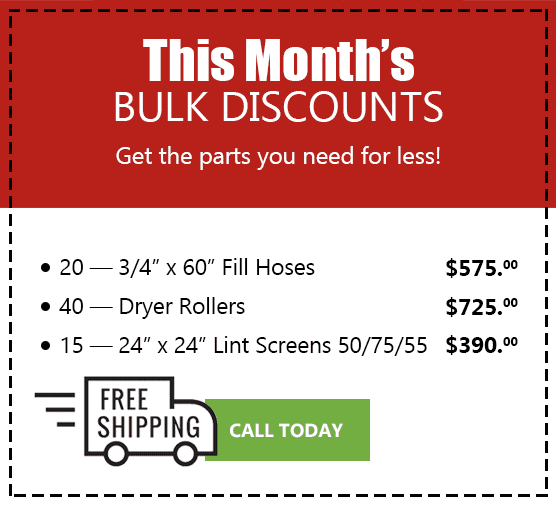 Laundry Equipment Parts supplies you with replacement components from all the popular brands and models of washers, dryers, and ironers. Brands we stock parts for include Alliance, Huebsch, IPSO, Speed Queen, Unimac, Cissel, Primus, ADC, Dexter, Electrolux, Wascomat, Milnor, Sharper Finish, Chicago and so much more. All replacement parts such as coin drops, drain valves, fill valves, door handles, door locks, ignition modules are stocked and ready to ship. Be sure to ask about our complete line of accessory items such as laundry carts, soap vendors, bill changers, card systems, folding tables, bulkhead systems, drain troughs, steel frames, coin boxes, etc. We know first hand what it takes to keep your business up and running, and with our quick turn around time, and friendly staff we are certain you won’t want to shop anywhere else. 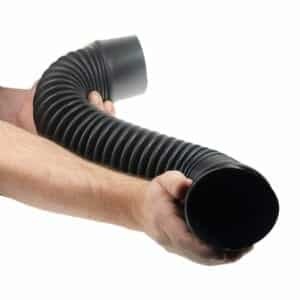 REPLACES PVC hard pipe drainage systems. Ideal for tight and confined areas. Resistant to Detergent, Bleach, Drain Cleaner and other corrosive chemicals. Request a Part or More Info from Chuck.